Bangkok’s young and beautiful come to Thonglor and Ekkamai to taste the the good life—and the stunning flavors of the neighborhoods' best chefs. 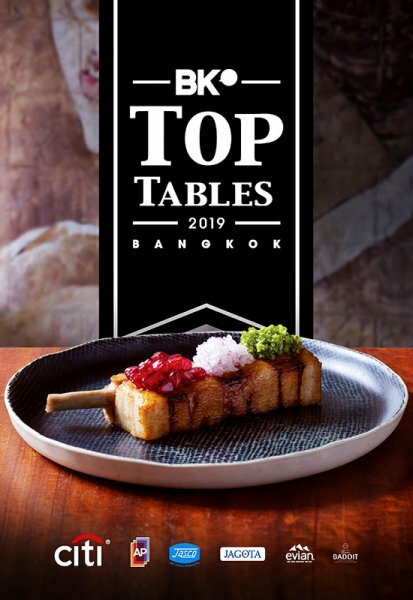 Here are our top picks from these two glitter strips, as chosen by our Top Tables 2019 guide to Bangkok's best restaurants. Bon appetit! (Spanish) Victor Burgos set tongues wagging with a sensationally well-simmered seafood paella, the overwhelming blue-cheese kick of his croquettas, and the rich broth of the arroz caldoso. With its terracotta-tiled garden and spacious, Mediterranean-referencing dining room, this is far more than your average tapas bar. (Thai) Inside tip for anyone who can’t get a table at Sorn. Supaksorn Jongsiri’s other restaurant, Baan Ice, boasts just as much flavor and at wallet-friendly prices. His family has roots in the southern region of Thailand, with recipes drawn from his grandma’s cookbook. His pad satoor kapi goong (stir-fried prawns with sataw beans) and yellow curry with sea bass and coconut shoots are notable for their uncompromising heat. All this comes in a bistro setting that’s polished but relaxed. (Thai) With a new breed of Thai restaurant preaching hyper-regional cuisine and pledging allegiance to all things sustainable, Bo.lan’s reputation as a fine-dining trailblazer only continues to grow. For a decade now, Duangporn Songvisava and Dylan Jones (aka “Bo” and “Lan”) have challenged diners to question their definition of Thai cuisine. 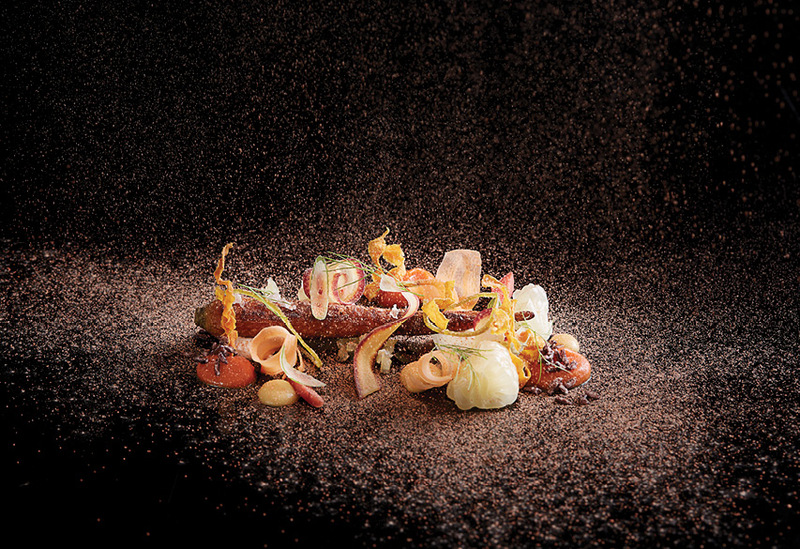 Beyond rare ingredients and reborn recipes, the chefs are also tireless in their pursuit of a zero-carbon footprint. A rogue, anti-establishment attitude only adds credibility to their efforts. (International) Chef Riley Sanders manages to do locally sourced and seasonally focused without throwing away the frills and sophistication of fine dining. Everything from the truffle to the cheese to the wagyu beef to the honey comes from Thailand. Sanders’ six-to-nine course tasting menus (no a la carte) are best enjoyed around the glistening kitchen bar along with the wine pairing. All this doesn’t come cheap, but there are few new restaurants in town that quite match the polished sense of occasion at Canvas—nor the seriously bold and inventive flavors on the plate. (Asian) Hand-painted rattan blinds, dashes of neon and flickering film projections lend this Laotian restaurant a vibe that’s sultry and clandestine. The food pulls no punches, from the herbaceous, x (papaya salad with tempura soft-shell crab) laced with fermented fish paste—funky, indeed! Punchy Asian-inspired cocktails ensure an intoxicating start of a big night out. (Thai) The southern restaurant against which all other southern restaurants in Bangkok are measured. The list of must-orders ranges from the crab curry with kanom jeen and the braised pork belly in Chinese five spice, to the stink beans with shrimp and namesake khua kling (a dry mince pork curry), meaning plentiful dining partners are essential if you’re to finish. (Italian) Head chef Andrea Ortu’s menu brims with serious D.O.P. produce scoured from the lengths of Italy—a rich Sicilian pistachio paste to cut through a plate of Brittany lobster and clam gnocchi, a Pecorino cheese foam atop unctuous lamb fragola. Old classics include founder Luca Appino’s black truffle cheese risotto and the buffalo mozzarella caprese salad. (Steak) Behind this mid-century, rustic-industrial temple to all-wood-grilled meat stands Gaggan Anand, founder of the three-time Asia’s 50 Best-winning Gaggan. The tomahawk puts its now ubiquitous competition to shame thanks to a crisp, pepper-encrusted char and a heart that is deep red. Last orders 10:30pm. (American) Welcome to Bangkok brunch nirvana. Crisp, rustic fries, tender steaks, fresh salads and eggy breakfast dishes are this Thonglor bistro’s stock trade, served amid cool concrete monochromes, subway tiles and smoky orbs of incandescent light. The giant stacks of waffles and serious coffee are great, plus they’ll serve you a nice selection of biodynamic/natural wines. (Thai) This “Thai-style izakaya” excels in the type of creative spins on traditional street food favorites that set pulses racing. Set on still-buzzy Thonglor, the brainchild of food writer Jarrett Wrisley and wife Candice Lin keeps things fresh with weekly specials, a laid-back vibe and a signature cocktail list brimming with creativity. (Thai) Unabashedly traditional flavors, a classy yet casual atmosphere, and prices that don’t make the eyes water—you’d be hard pressed to find a more successful combination, as Supanniga’s three branches and a dinner cruise attest. 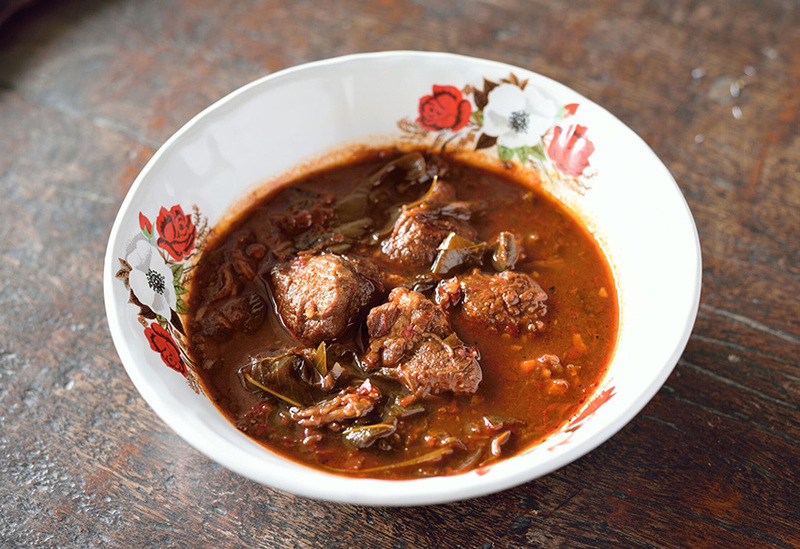 Alongside familiar staples, three-generation-old recipes highlight the underappreciated dishes of Thailand’s east, like the rich and buttery stewed pork with chamuang leaves. (Japanese) This salaryman stronghold now has branches in Sathorn and Thonglor, but it’s the wood-dominated Ekkamai original that continues to offer one of the warmest izakaya experiences in town. Enter the slender house prepared for an intoxicating mix of whiskey highballs, Japanese pub grub done right, and staff just as rowdy as the guests. (Japanese) One of the few omakase specialists with a Thai chef at the helm builds its name on hard-to-source seasonal ingredients, whether it’s nama-sujiko (fresh salmon roe) or shinko (small gizzard shad). Chef Banphot Boonklom (Gaysorn branch) and righthand man Chokchai Meemana (Thonglor) make their nigiri sushi with two types of rice (seasoned with either white or red vinegar) at a classic sushi counter with limited seats. (International) There’s a serene sophistication to chef Dan Bark’s intimately scaled chef’s table restaurant above the Danish craft beer bar Mikkeller. While the dining room keeps things Nordically simple—walls are a subtle, cool mint, lighting is bright yet inviting—the 10-course tasting menu bursts with impactful and labor-intense flavors, like the Alaskan crab with fresh cucumber, sweet coconut and citrusy kalamansi, or the rich dark chocolate dessert with hints of orange, walnut and jalapeno. A new pairing with Danish wines also reveals rich and fruity flavors unlike anything else in town.